Dr Mondher Mahjoubi, formerly AstraZeneca's head of oncology, has moved to lead French biotech Innate Pharma. Innate appointed Dr Mahjoubi as chairman of the executive board from 30 December last year, succeeding co-founder Dr Hervé Brailly who transitions to chairman of the supervisory board. 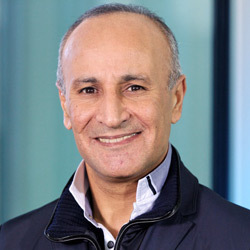 Dr Mahjoubi brings over 20 years of clinical development, marketing and strategy experience to the position, most recently from AstraZeneca where he was senior vice president and therapeutic area head for oncology, global product and portfolio strategy. Prior to this, he was senior vice president of global product strategy at Roche's Genentech unit, and has also held senior positions in oncology at Aventis and Sanofi. Dr Mahjoubi said: “This is a really great opportunity for me to be joining Innate Pharma as chairman of the executive board. “Immuno-oncology is transforming in depth the way we can treat cancer patients. Building on a unique and differentiated expertise in innate immunity, Innate Pharma has been a pioneer in immuno-oncology. “The team has demonstrated its impressive ability to deliver in research, discovery and exploratory development, and the company has now reached a key inflection point to emerge as a major player for the second wave of immuno-oncology agents. “I look forward to working closely with Hervé Brailly, the board and the team as we build Innate Pharma into a global, fully-integrated company, working in the best interests of patients, employees, shareholders and other stakeholders."